Get ready to “gleek” out D.C.; one of your favorite McKinley High School glee club members is making his return to the nation’s capital. WASHINGTON — Get ready to “gleek” out, D.C. — one of your favorite McKinley High School glee club members is making his return to the nation’s capital. Criss will be joined by Broadway vet Betsy Wolfe, who will accompany Criss on Broadway hits from “The Last Five Years,” “The Book of Mormon,” “Once” and much more. Criss says he’s used to doing shows featuring lots of pop, rock and contemporary music, and says he doesn’t have the traditional Broadway pipes of theatre stars. He says attendees will know some of the songs, but not all. The show puts a spotlight on Broadway hits of today, and showcases some classics starting from the 1970s. Composers include Jason Robert Brown, Alan Menken and Stephan Schwartz, to name a few. Steven Reineke, who recently conducted a show with Kendrick Lamar, will lead the NSO Pops. Criss added that his friend and actor Jeremy Jordan (Broadway fans will know him from the musical “Newsies,” and most recently the movie musical version of “The Last Five Years”) was originally scheduled to perform, but had conflicts with his TV schedule. And “Glee” fans, you won’t be disappointed. “There’s an orchestration of something that is completely based off the ‘Glee’ version that we did,” says Criss. 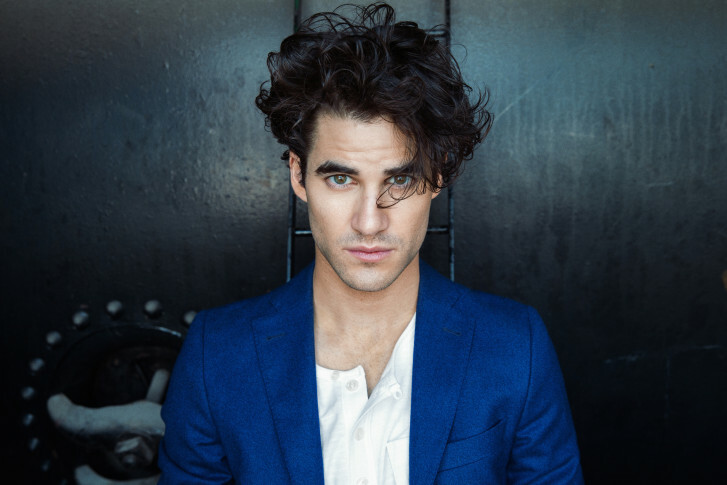 Criss made his return to Broadway last year in the lead role of Hedwig in “Hedwig and the Angry Inch.” But many will always remember him as the high school glee club member, Blaine, singing hits and show tunes every week. Criss was attending college when the show first came on the air and become a hit. He says since “Glee” he’s been associated with Broadway and musical theatre, something he never thought or planned on before the show. Overall, Criss says he’s grateful for his time on “Glee” and is happy to be associated with the show. Though Criss credits “Glee” for launching his career, he actually cites YouTube for getting it all started. With “Glee” in his past, Criss has enjoyed disappearing a little bit to work on personal projects now that he has the time, which he says is ultimately more valuable than any job or paycheck. Don’t worry Darren, we won’t stop believin’ in you. “NSO Pops: Broadway Today” with Darren Criss and Betsy Wolfe is at 8 p.m. Friday and Saturday at the Kennedy Center Concert Hall. Visit Kennedy-Center.org for more information.